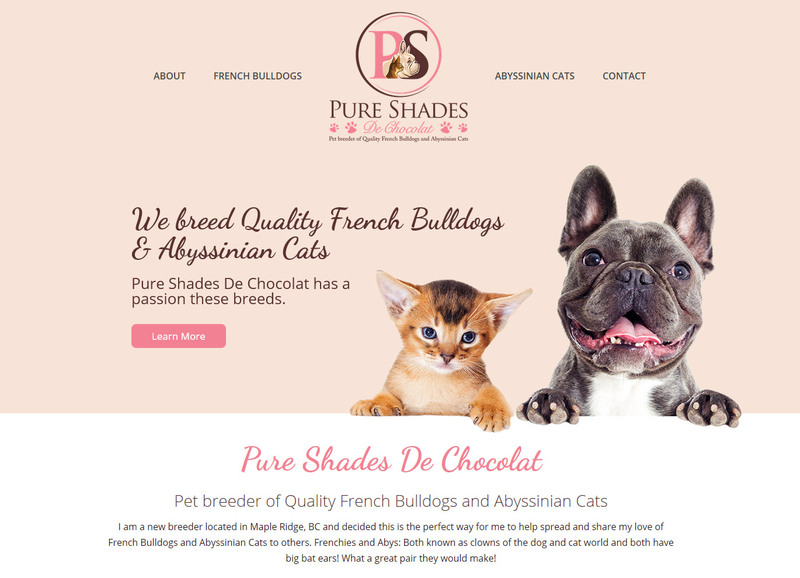 Pure Shades De Chocolat is a pet breeder of quality French Bulldogs and Abyssinian cats. This is a design I put together on the fly and features a application form that uses conditional logic. Robb Farion. All rights reserved.